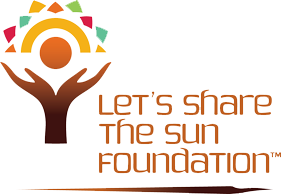 Meet college students making a difference with Let’s Share the Sun! Spotlight On… Vincenzo Polsinelli Vinny received the Life and Light in Abundance Student Award from Let’s Share the Sun in November 2012 for his inspiring leadership. A 2013 graduate of Siena College, he majored in Biology and has always been involved in service activities. In January he went on his second trip to Haiti as part of a student group that devoted nine days of their break to serve through Habitat for Humanity. Partnering with Let’s Share the Sun Foundation and General Electric, they helped a Haitian team install solar panels on St. Gabriel’s school as part of their work. What first brought you to working with Let’s Share the Sun? “I was talking to Pierre-Louis [Joizil, who studied at Siena after the Haitian earthquake in 2010] through email about what he needed in Haiti. He said that the school he founded in Fontaine needed electricity. Through a friend at Siena, I learned about Let’s Share the Sun and their projects, and then met Nancy [Brennan-Jordan, co-founder]. After that I was able to get solar panels donated from GE.” Vinny recalls that it still doesn’t make complete sense how everything came together so well, but eventually it did. What is the value of student involvement for projects like these? “It provides learning opportunities for students to see beyond their bubble, and engage in service outside their immediate community. It can be eye-opening. You get a lot out of the trip and are able to see the impact on the Haitian community.” He says that understanding electricity and seeing that it is not necessarily easily accessible in a place like Haiti is something that may be valuable for other students to learn. What was the most memorable part of your trip in January? “The last night in Fontaine we had a celebration put together by Pierre-Louis. It represented it all coming together, when the lights came on at the school.” Vinny also enjoyed the free time in the evenings when he was able to just talk with people. He will be returning to Fontaine this July with another Siena graduate and a current undergrad. They will be teaching English by immersing in the language with students and hopefully teaching science as well. Vinny plans on continuing his work in Haiti during medical school, which he will start this fall. “…our addition of 5 more panels was a significant addition to the school’s electric capacity. The school is located near a cluster of about ten homes, half of which had been destroyed in the earthquake. The rest of the community lived further up in the mountains, and children had to walk two or three hours to the school each day. With the added electricity, the school is now able to serve as a community center, offering ‘family movie night’ on Saturday nights, as well as a source of light in the darkness. We also brought 50 solar-powered lanterns with us to distribute to the children. Let’s Share the Sun had decided that in addition to powering the school, they wanted to reach out to each individual family. Each child at the school was given a lantern, which he or she will charge at school and take home every night. This will be the only source of light in their homes. While visiting the school, we sang with the children, and read books–teaching them about solar energy and the possibilities it has. We interacted with them, and got a glimpse into their lives. This was an increasingly humbling experience, as we learned of the extent of their poverty. The people of the mountains have no real source of income. A few earn a small living off of farming peanuts, but the earthquake had destroyed a majority of the other work. Some of the children we were working with suffered from severe malnutrition.